The price is set up at the amount of 29900 Euro. 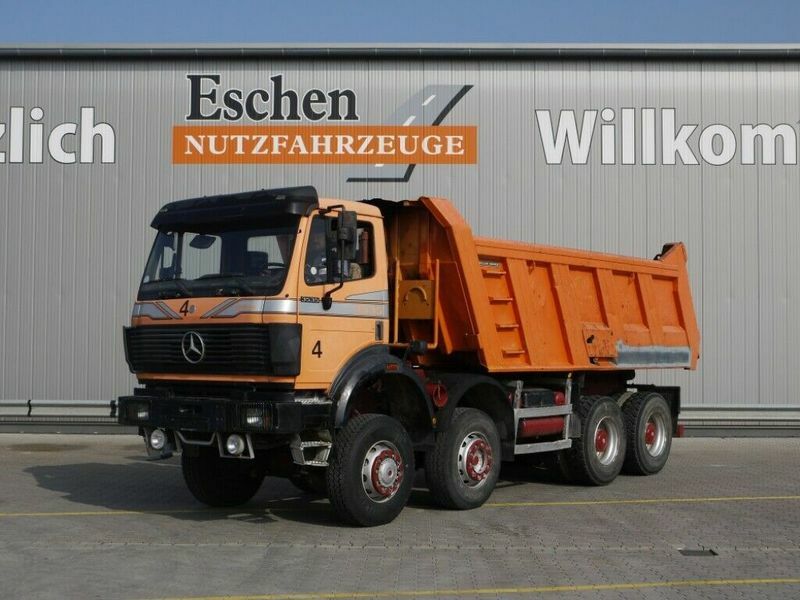 Our MERCEDES-BENZ tipper are available in a dealer's stock under your request. Engine details/gearing and fuel type: diesel, displacement: 14618 cc, 366 hp, gearbox: manual. Wheel formula and suspension type: 8x6, number of axles: 4, ABS, trailer coupling. Body dimensions and options: loading length: 5200 mm, loading width: 2300 mm, loading height: 1200 mm, loading volume: 14.00 m³. The mileage is 289930 km.